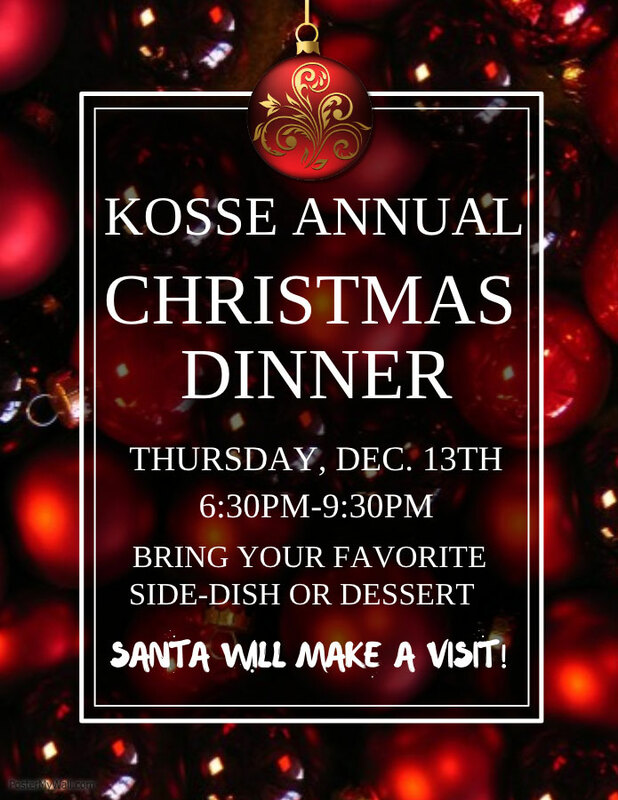 The annual Kosse Community Christmas Dinner & Celebration will be held at the Kosse Community Center at 6:30PM on Thursday, December 13th. There is no charge for the dinner but you are invited to bring a side dish or dessert to the annual celebration. The winner of the Chamber of Commerce “Best Decorated House” contest will be announced and Santa is expected to visit with goodie bags for the children. Cash donations are welcome and raffles will be held. 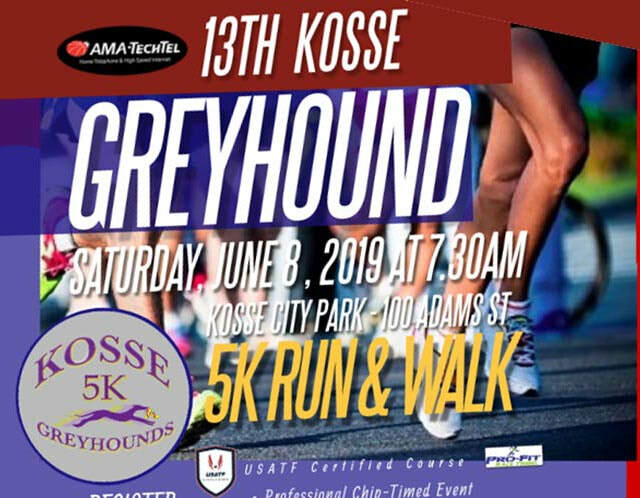 For more information, call City Hall at 254-375-2212 or visit KosseCC.org. ​Proceeds benefit Community Center programs and scholarships. 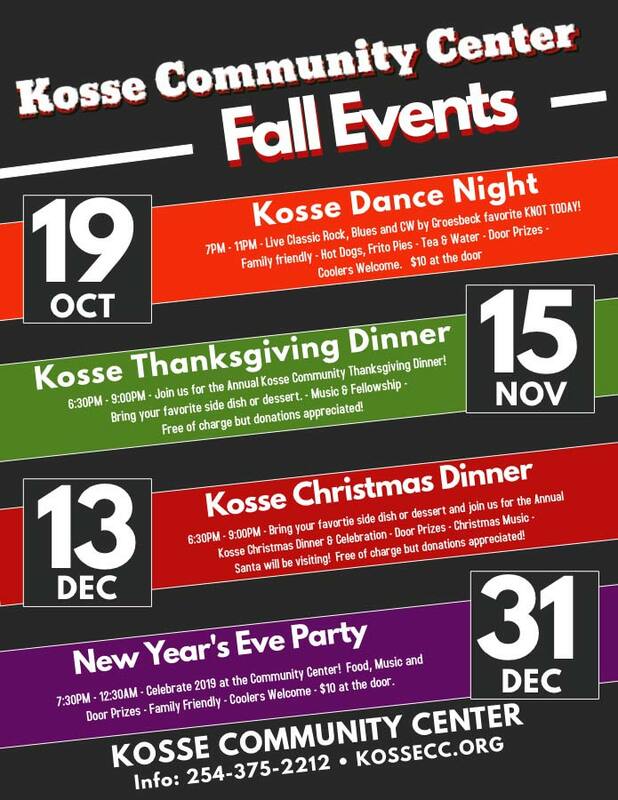 Kosse Homecoming 2018 Coming Soon!! 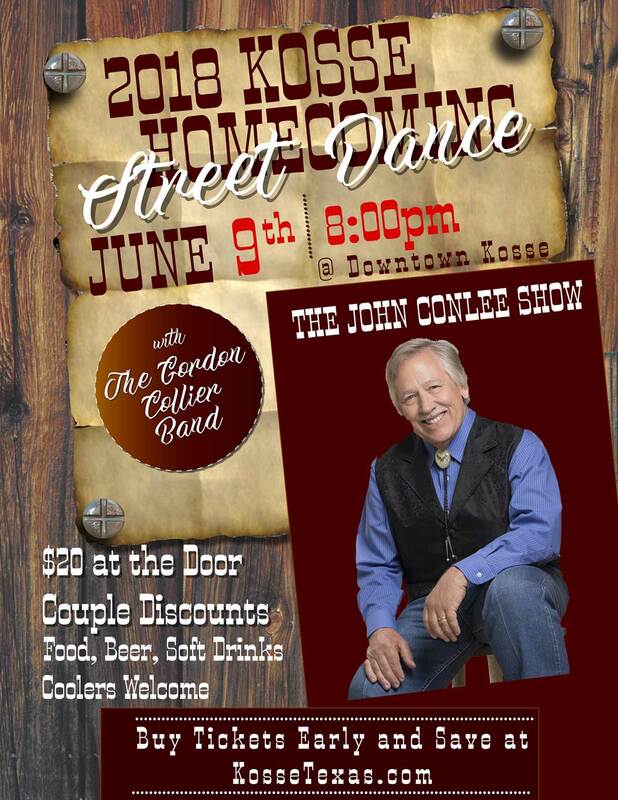 Make plans for Kosse Homecoming Weekend - June 8 & 9! 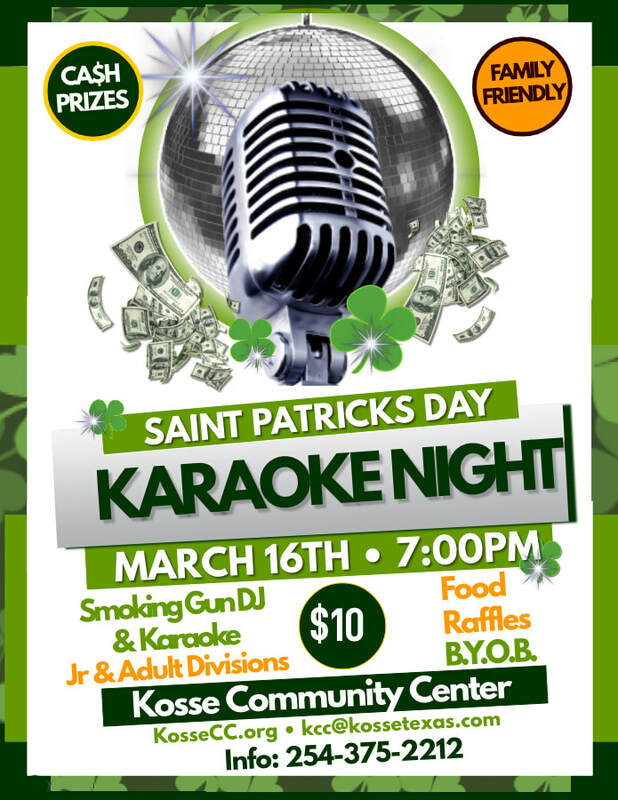 Visit KosseTexas.com for all the Details! 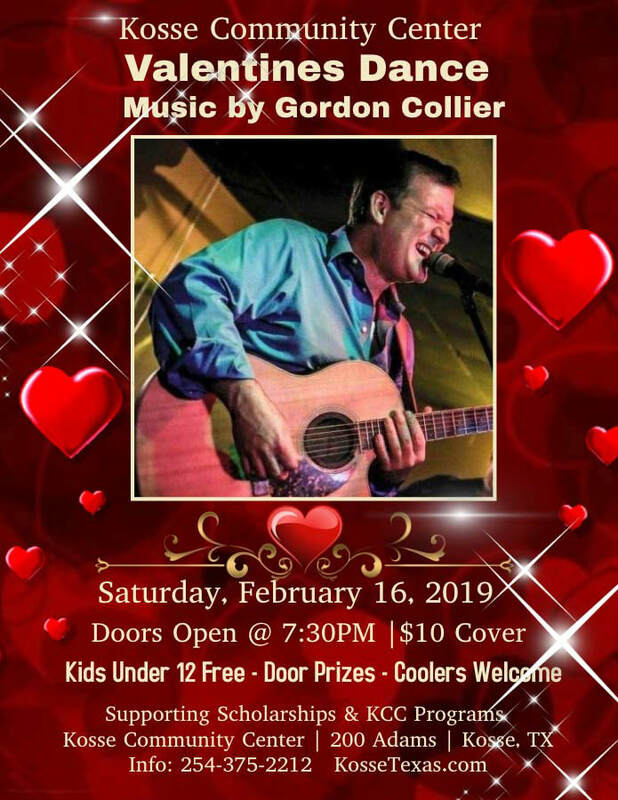 Make plans to join us on Saturday,March 25th for a fun evening of music and dancing with Waco favorite BRETT HENDRICKS BAND! Tex-Mex treats made available by KASA KOSSE. ​$10/cover. Children under 10 free.